Add garlic and sage and cook for about one minute. Stir in the flour and cook for about one minute, stirring constantly. Whisk in the chicken broth and then the half and half. Stir in the cream cheese and Parmesan cheese until smooth. Add the cooked spaghetti squash and the cooked, shredded chicken. Cook until heated through. 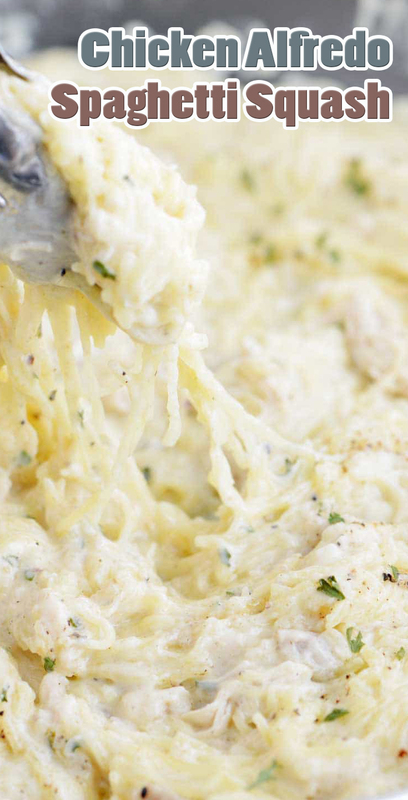 Taste the chicken alfredo spaghetti squash. Then, season with salt, pepper, and parsley.